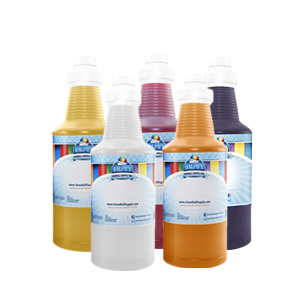 Diet Snow Cone Syrup and Shaved Ice Syrup made with cane sugar is full flavored but has 50% fewer calories. Some diet syrup can leave an unpleasant taste in your mouth. But cane sugar cane sugar leaves a fresh and sweet lingering taste in the mouth. When cane sugar is used as a sweetener it amplifies the taste of the flavoring. 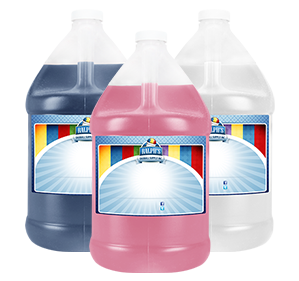 Our diet syrup is available in more than 150 Flavors. 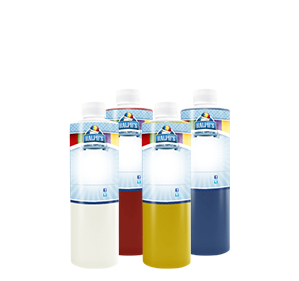 All of the flavors are available in 4-ounce sample, pint, quart and gallon sizes. The syrups are ready to use. Simply pour it over shaved ice to create delicious snow cones or other shave ice desserts. It has a 6-month shelf life, no refrigeration is required and opening the bottle does not shorten the shelf life. Simply pour the syrup over finely shaved ice, serve and enjoy. Are you on a restricted calorie diet but you don't want to settle for less flavor in order to get fewer calories? If the answer is yes, Ralph's Diet Snow Cone Syrup is the answer. We make Diet Syrup daily with cane sugar in order to provide our customers with the freshest and best tasting syrup possible. Now you can have your cake and eat it too so to speak. You do not have to sacrifice the good flavor and sweetness that you want in order to get fewer calories. We are more likely to stay on a diet if we like the taste of what we eat. Our diet syrup has half the calories but the full flavor of the syrup is maintained. Ralph's syrups are made the "old fashion way". We use 100% pure cane sugar because It's natural, It tastes great and It's safe. Cheap sugar substitutes are never used in any of our products. 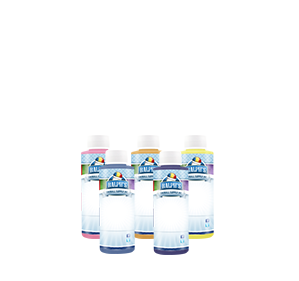 If you prefer a diet syrup that contains 0 calories and 0 carbohydrates you should try our Sugar-Free Diet Syrup made with splenda. It does not taste exactly the same as pure cane sugar but it comes close. You have three choices - You can choose regular if you are not concerned about restricting calories, you can choose diet if you want to cut the calories in half or you can choose sugar-free if you want to completely avoid calories and carbohydrates. Diabetics can consume splenda sweetened snow cones without experiencing a spike in their blood sugar. We offer these choices in an effort to make it possible for everyone to enjoy our flavorful products.